File your divorce complaint with your county clerk of court. Make sure to complete any other forms your particular county requires. Serve your spouse at the last known address you have for her with the summons and the file-stamped divorce complaint. The summons will notify your spouse that she must file an answer within 20 days. Complete a warning order affidavit and pay for a warning order attorney if you don’t know where your spouse lives. The attorney will have 50 days to try to notify your spouse of the filed divorce action. If your spouse cannot be found within this time frame, the warning order attorney will file a report with the court detailing the efforts undertaken. Fill out a motion for default judgment, including your case number. One of the most important sections is where you note how and when your spouse was served. Don’t sign the motion until you get ready to file it in with the clerk of court because it has to be notarized. File your motion for default with county clerk. 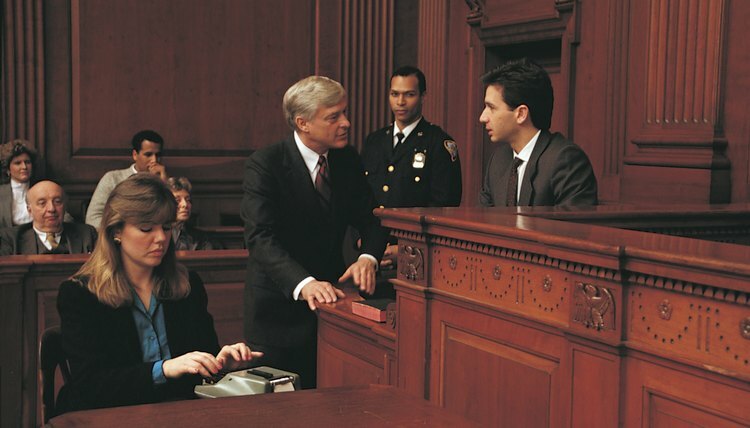 After you file the motion, the clerk will assign a date and time for your hearing. You will have to pay for your copy of the hearing notice. Ask for a copy of the notice to be sent to your spouse’s last known address. Attend the final hearing. The court will not enter a default judgment unless the person who filed for the divorce is present. If your spouse was served via the sheriff’s department, the judge will have the freedom to grant everything you requested in your divorce petition, including child and spousal support, property division, custody and any other marital issues. If your spouse was served via a warning order attorney, the judge can grant only your divorce and award you custody. Under Kentucky law, the judge will not be able to decide any issues that deal with financial matters including alimony, property division and child support.